Model-Driven Engineering (MDE) places models as first-class artifacts throughout the software lifecycle. In this context, model transformations are crucial for the success of MDE, being comparable in role and importance to compilers for high-level programming languages. 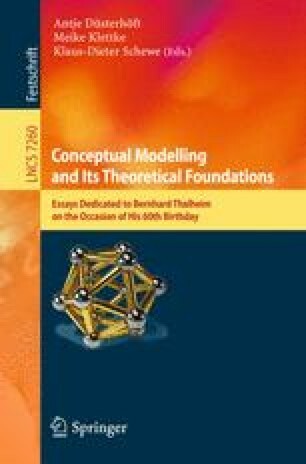 Thus, several model transformation approaches have been developed in the last decade, whereby originally most of them are based on the abstract syntax of modeling languages. However, this implementation specific focus makes it difficult for modelers to develop model transformations, because they are familiar with the concrete syntax but not with its computer internal representation. To tackle this problem, model transformation by-example approaches have been proposed which follow the same fundamental idea as query by-example and programming by-example approaches. Instead of using the computer internal representation of models, examples represented in concrete syntax are used to define transformations. Because different transformation scenarios occur in MDE, different by-example approaches have been developed. This chapter gives an overview on the emerging concepts, techniques, and approaches in this young by-example area. This work has been partly funded by the Austrian Federal Ministry of Transport, Innovation and Technology (BMVIT) and FFG under grant FIT-IT-819584.